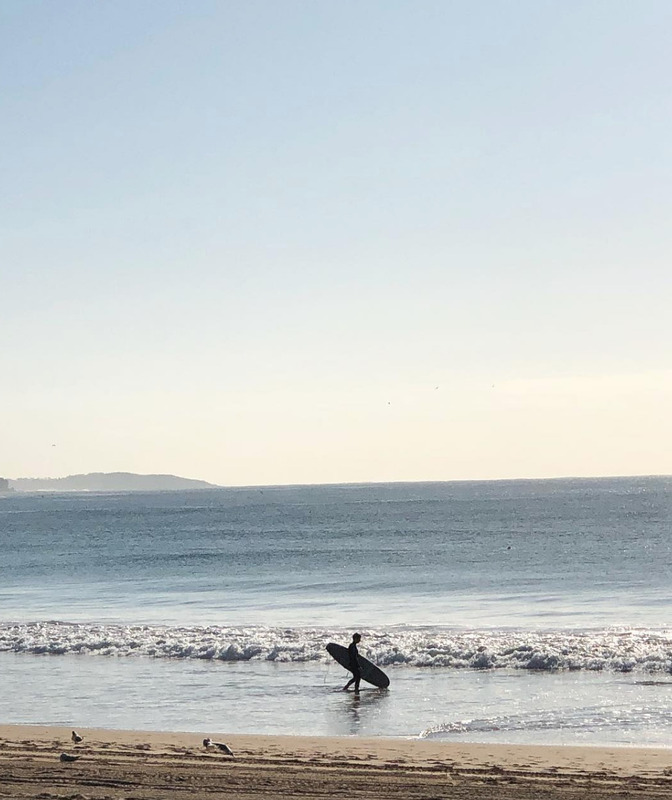 Tatiana Ikasovic recently moved to Los Angeles, but she can’t help but be inspired by Sydney, where she was born, and the Australian Outback, where she was raised. 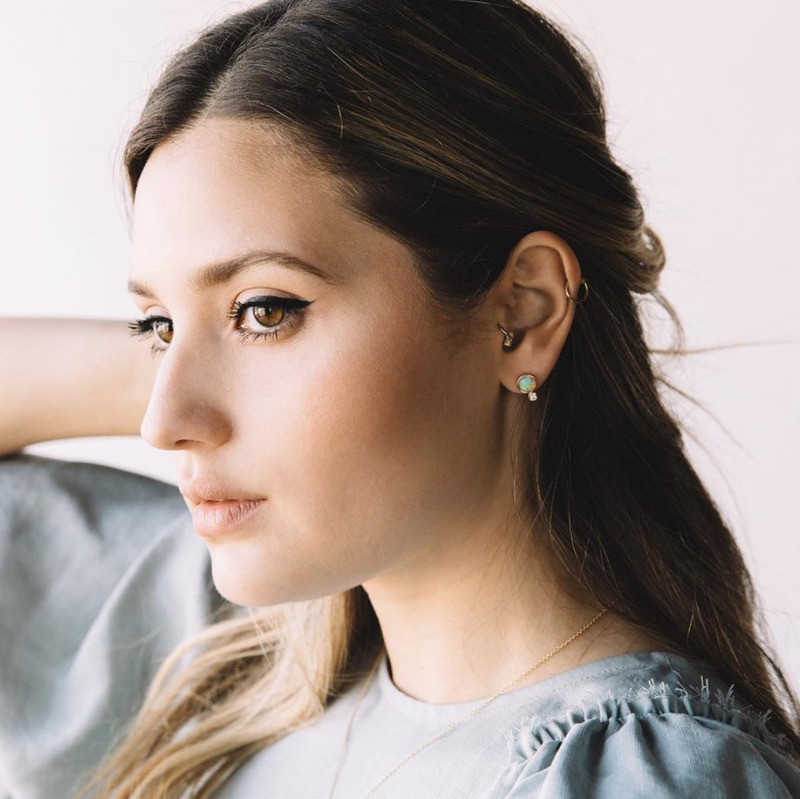 Her burgeoning jewelry company, Fade to Black, focuses on modern opal design with stones from the same Outback town where her father was an opal miner, and counts Sophia Amoruso and celebrity stylist Djuna Bel as fans. “I was inspired by the natural, organic shapes of the stones, the incredible Australian landscape and the mystical nature of the gem,” she says. 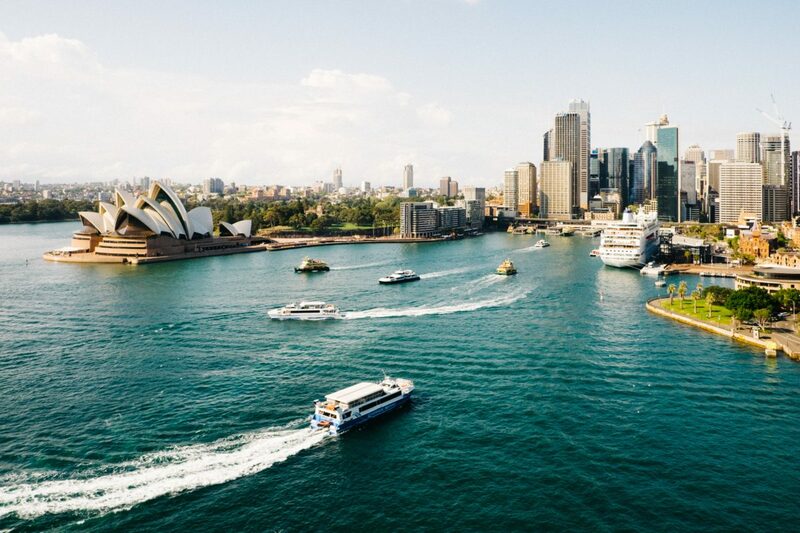 Ikasovic travels back to Sydney and side-trips to the Outback every chance she gets, and here, she’s outlined everything a visitor shouldn’t miss. Tatiana Ikasovic in the Fade to Black Orbital Earrings. Though I’ve travelled and lived all around the world, I will always have a special place in my heart for Sydney. It’s an incredible blend of cosmopolitan city mixed with a startling natural beauty—the ocean surrounds from all angles and it’s quite breathtaking. The attitude is relaxed yet can also be a place to build a career and have a comfortable life. The people love to be outdoors whenever they can and there’s a real sense of work/life balance. Take us through your ideal food day in Sydney. My first stop in Sydney is always visiting my favorite coffee shop, Gypsy Espresso in Potts Point. Australia is renowned for having incredible coffee and abundant, healthy breakfast options, and this place doesn’t disappoint. Next I would head to Lox Stock and Barrel in Bondi Beach and get the Bowlarama, a delectable combination of sprouted seed bread, eggs, fermented veggies, avocado and hummus. For a treat I always head to Orchard Street, a vegan place with beautifully made raw cakes and chocolates, as well as tonics and fresh juices. Both the Bondi Beach and Paddington locations are a must. For dinner, I’ve been going to Fratelli Paradiso for years and I find it to be one of the more authentic Italian places with great people-watching. I usually order the fish of the day with sautéed greens or the scampi pasta. Australia has the freshest seafood so I always get my fill when I’m at home. Another great restaurant for dinner is Apollo, also in Potts Point, which serves upscale modern Greek food, including a whole roast lamb shoulder that’s to die for. For dessert, you absolutely cannot miss Gelato Messina, (the best gelato in the world in my opinion). They pride themselves on having traditional and experimental flavors, and it has a really fun atmosphere where they play deep house music. There’s been a line outside the block for over 15 years. Surfer at Manly Beach. Photo by Tatiana Ikasovic. What’s unique about the food in Sydney? Sydney is a multicultural city, and this is reflected in the vast array of cuisines on offer. From dumplings at Din Tai Fung, to simply grilled fish by the beach, you can always find something to suit your mood. Contemporary Australia takes influence from various cultures and you can often find hints of Middle Eastern and Asian flavors that elevate any dish. It’s eclectic and experimental, yet doesn’t take itself too seriously. Glenmore Road in Paddington is a quaint side street that has many of Australia’s leading designer boutiques. I love to support local designers when I’m home, and they have a knack for making some of the best everyday basics along with dreamy dresses and vacation attire. I browse the collections of Lee Mathews, Zimmerman, Mecca Cosmetica, Bassike, and Scanlan Theodore. Make sure you pop into Jackie’s Cafe for a morning coffee and a delicious breakfast or lunch to fuel your shopping. I also never miss Tuchuzy in Bondi, where I stock up on bikinis, beach dresses, and silky slips from local and international designers. I always find inspiration from the beaches in Sydney. When you need to unwind and clear your mind there are so many natural wonders to behold that feel relatively untouched. I would head to Macquarie’s Chair, an exposed sandstone rock on the water, and stroll around the harbour. Or do the Bondi to Bronte Coastal Walk and read a book underneath one of the rocks. The Bondi Beach Icebergs, one of the most Instagrammable destinations in the world. Photo via Unsplash. What are some arts or cultural destinations a visitor shouldn’t miss? Carriageworks, a stark industrial space with contemporary exhibitions, always has something interesting showing, and they also have a weekly farmer’s market. I would also check out some theater at Sydney Theatre Company, view the latest installations at Museum of Contemporary Art, which has a fine selection of modern and indigenous art. Also, watch the ballet at the famous Sydney Opera House. You can grab a drink at Opera Bar before the show and enjoy the view. Where should people stay in this area? Near Bondi Beach, the QT Hotel is in a prime seaside location. My other pick would be the new Paramount House Hotel in Surry Hills. They have a rooftop terrace and an amazing breakfast spot called Paramount Coffee Project in the lobby. They’re also next to the two best Thai restaurants in Australia, Chin Chin and Longrain. What are the best nature experiences? Shelly Beach in Manly, which is accessible from the city by a wonderful ferry ride across the harbour. A day trip to Palm Beach to climb to the lighthouse. The botanical gardens in Sydney. Kayaking in Rose Bay. Where could someone go to relax? Sydney is very health focused, so there’s a ton of fitness and wellness spots around the city. I always take a yoga class at Body Mind Life in Potts Point whenever I’m home, followed by a traditional Thai massage at Thai Village. I might finish off with a facial and infrared sauna session at Alkaline Spa and then go for a stroll around Rushcutters Bay with a warm Chai Tea to finish off the day. Best kept secret or hidden gem? Gordons Bay Beach. It’s a secluded area between Coogee and Clovelly Beach, and you can only access it via the Coastal Walk. It’s where all the locals go. You can bring a snorkel and see an array of vibrant sea life under the water. 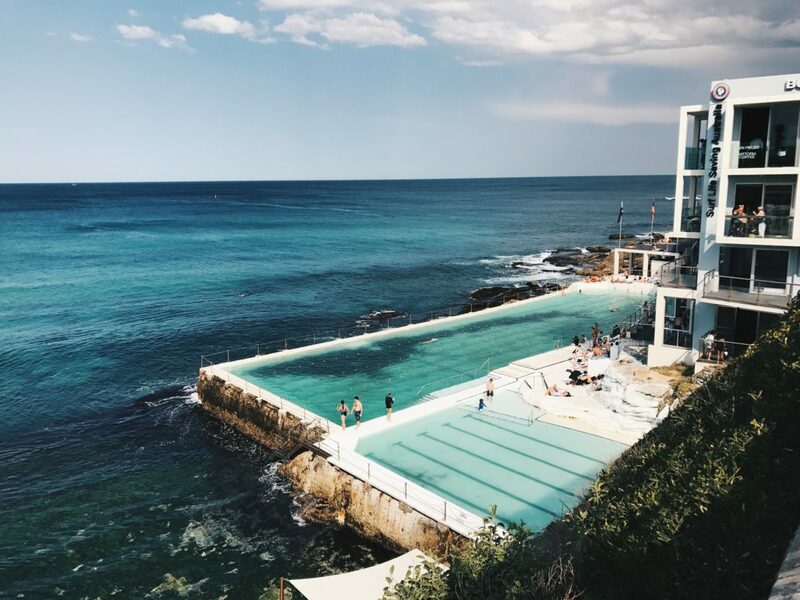 No Sydney trip is complete without visiting the iconic Bondi Beach Icebergs—the man-made pool jutting out into the bay. Down a cocktail in the bar or have a swim in the pool and sun yourself on the rocks. Bliss! 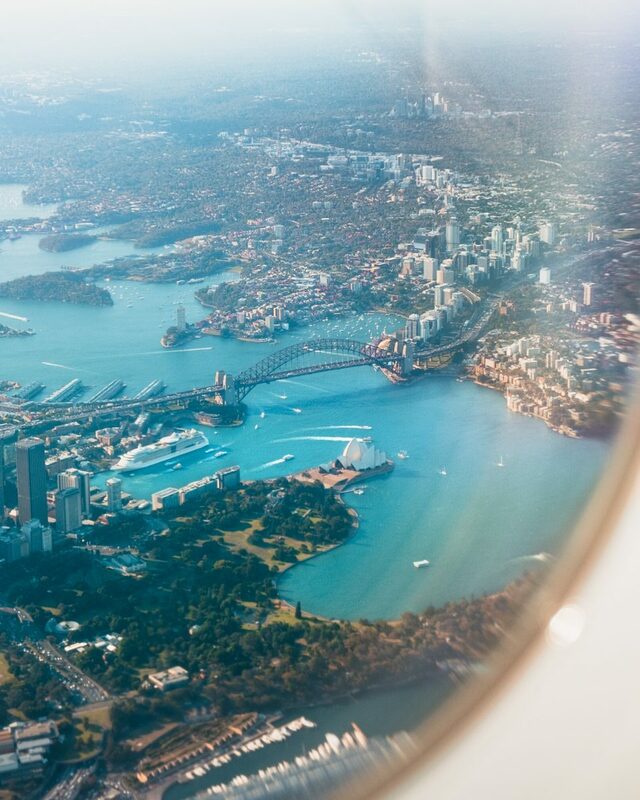 What’s your favorite place to travel in Australia outside of Sydney and why? What can you do there? I spent many years of my childhood in the Outback of Australia, namely the little mining town of Lightning Ridge. It’s where I source all my stones for Fade to Black. I was there recently and the charm and quirk of the little town remains intact. 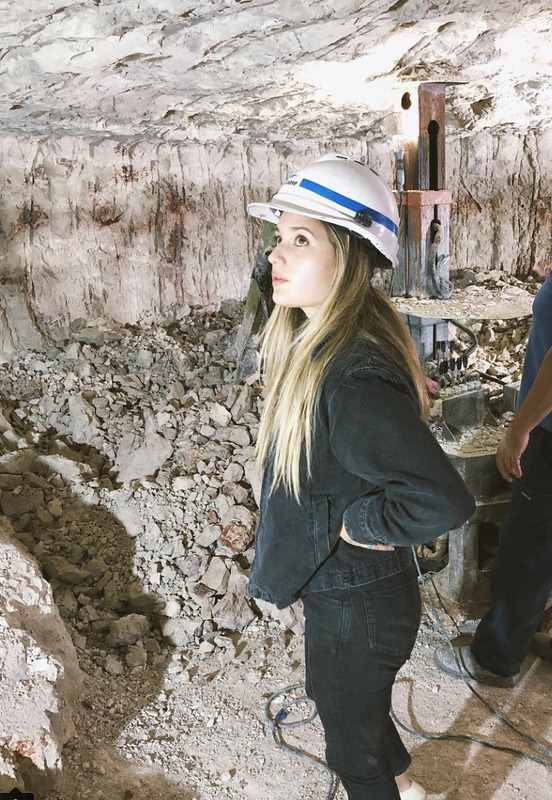 You can take a mining tour and explore underground caves where people search for opals—you never know, you could get lucky! You can also visit the famous Artesian Bore Baths, where people go to soak. It’s incredibly healing. There’s even a stone castle there open for visitors, built by one of the quirky locals. You will see emus and kangaroos running alongside your car and meandering through the vast expanse. It’s like another world out there—a definite must see. Tatiana Ikasovic in the Lightening Ridge mines.